Where it’s comfortable to buy a car. Browse our 12 domestic brands. 9 full service dealerships to accommodate your needs. Supporting communities throughout Oklahoma for over 30 years! We are proud to support Oklahoma communities for over 30 years. We are fortunate that our vehicle manufacturers help in our mission to support local educational venues, events, farming communities and much more. 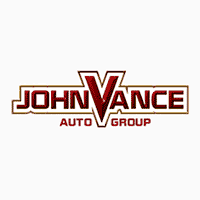 The John Vance Auto Group has been serving Oklahoma residents for over 30 years and has 7 full-service dealerships to accommodate our customers. We carry domestic brands such as Ford, Lincoln, Chevrolet, Cadillac, Buick, GMC, Chrysler, Dodge, Jeep and Ram. We also offer vehicle solutions via our commercial vehicle and wheelchair accessible van divisions. You can browse our entire inventory of used cars for sale across all of our dealerships right here. If you have any questions, our experienced team will help you every step of the way and answer any questions you may have. We know that buying a new car can be a big decision and stressful for some people. Let us show you how our enthusiasm and professionalism that will make your car buying experience fun and stress-free. Select your nearest dealership and visit us today.